Kirana store is a platform to cater to different needs of the consumers. It has a catalog of products which is required by different groups of consumers. Additionally, Kirana stores are mostly present at every corner of the street which makes the competition very high. So, in order to sell more and earn large profits, the Kirana store owner must know a few tips and tricks. 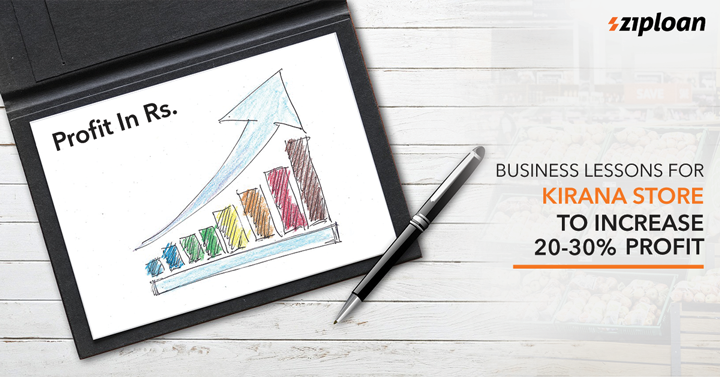 Read on to know 5 business mantra for the store owner to instantly increase his profits by 20-30%. Some store owners have a fixed timing to open their store- 9 AM to 8 PM, despite the fact that they live nearby. You can open your Kirana shop by 8 AM and close at 10 PM. Also, you can open the store on Sundays and other holidays to get higher sales. It is obvious that while other store owners would be busy sleeping or having fun, you are selling and making profits. This will also help in having more loyal customers who would sing praises about you and bring you more sales. Before setting up a Kirana store, assessing the competition there is very important. It is not always a good option to start the store in the near locality. Also, it is not a bad idea of opening a Kirana shop at a location where there are already 10 other competitors if there is still an opportunity of catering a large number of population. The only need here is to evaluate the opportunities. Many shop owners would think that the best way for customer engagement is advertisement and marketing. However, if we talk about a Kirana store business, the way is to talk to every customer nicely, no matter if it is a kid, elder, or aged. A one-to-one conversation coming directly from the owner of the shop impacts much greater than Social Media or anything for that matter. Also, consistency in communication should also be maintained- it builds brand image. Understanding customer preference is very important. When customers come for some petty product, they generally do not care about the brand. And are mostly like, any brand will do even if asked. In situations like these, it is preferable that you know the customer preferences and sells the brand that the customer’s family generally buy. Upon feeling that you know all their likes and dislikes, the customer would have more trust in you and your store. A few other additional services, such as delivering products to the customer’s houses during breaks or at night would look a great effort on your part. You can also ask the customers to return products as well if they find them defected. This gives a good impact. All the above said mantras will help you to increase your business and earn 20-30% profit. And to be prepared for it with inventory, you can avail a Kirana store business loan from us. We offer loans for business at the most competitive interest rate and minimal documentation. Additionally, you can also register your business at Connect by ZipLoan where you will be able to connect with thousands of other business owners. You can also register your products and post their videos. Next article Grocery Store Business: How To Get Success Overnight? What Are the Tips For Managing Working Capital For A Service Business? Government Issues Clarification On The Exact Definition Of An M.S.M.E.